Summer is in the air which means that it is time to book that trip to the beach already to soak up the warmth of the sun and just enjoy the waters for a relaxing day with family or friends. But for those with oily skin, summer is something that they are anxious about as their oily skin becomes oilier than ever hence they suffer from acne breakouts. You’re probably tired of having to conceal those blemishes every time you step outside and that you’ve been using up plenty of blotting tissues just to remove that extra oil that your skin is producing. Although having oily skin means extra care, just look at the bright side because those with oily skin tend to age more slowly. 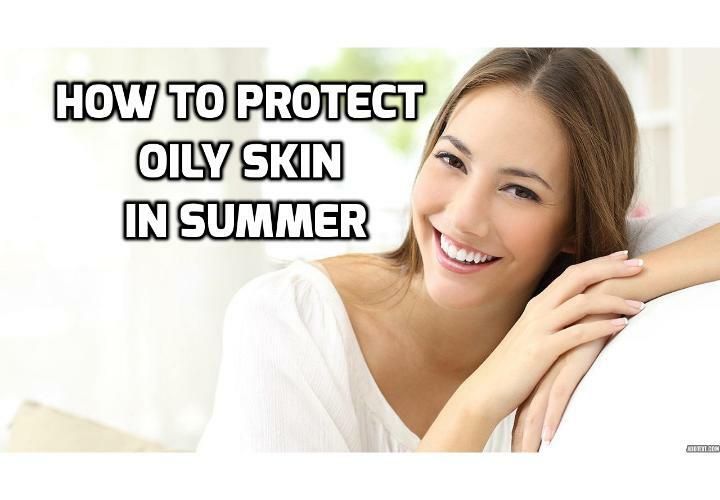 With that being said, there are still steps that you can take to provide protection for your oily skin this summer. If you want to make sure that your skin won’t break out in acne or pimples, these tips are worth trying out. One way to keep your oily skin free from acne breakouts is to minimize the amount of makeup that you are using. This will help prevent your pores from being clogged because of the excess oil that you’re producing. By wearing less makeup, you will allow your skin to breathe better for a healthier look. It’s easy to fall into the trap of washing your face too often during the summer because you want to refresh yourself. Unfortunately, too much washing can actually make your skin produce more oil which is what you are trying to avoid in the first place. It is better to limit your washing to morning and at night before going to bed so that you won’t have to contend with oil and sweat at the same time. Our hands are constantly touching various things so you don’t really have any idea on what you are transferring to your face whenever you touch it. This also means avoiding popping the pimples on your skin as it can spread the bacteria further. Also, make sure that you tie your hair back as the oil coming from your scalp can travel to your hair and add more to the oils that are produced on your face. You’ve probably used heavy creams during the winter to avoid your skin from being dry but now that the temperature has risen already, it is time to switch to something lighter that your skin can easily absorb. Sticking to the heavy stuff can actually make your skin appear greasy which is the last thing you will want this summer. Come the summer, it is important that you do not forget to use toner on a daily basis. Wipe the toner on areas of your skin that are excessively oily such as on your forehead and your nose. The toner has astringent properties that can actually soothe and cool the skin at the same time. It will also help shrink the pores of your skin so that the amount of oil produced will be reduced. If you cannot avoid wearing makeup during summer, don’t forget to apply a primer first. This will help keep your makeup in place and can even control the oil on your skin too. Go for the mattifying primer to get the best results. These are just a few tips that you should keep in mind when it comes to dealing with your oily skin come the summer. You will find that your oily skin will be more manageable once you practice the steps above. Face Oils – What’s Best For Your Skin Type? Pingback: How Can I Really Prevent Persistent Tonsil Stones?